Out at dusk and to bed by morning, this nocturnal flyer loves to sit high in the trees and whoo whoot at the moon. His vibrant color catches the eye, while his friendly appearance makes you want to keep him close. 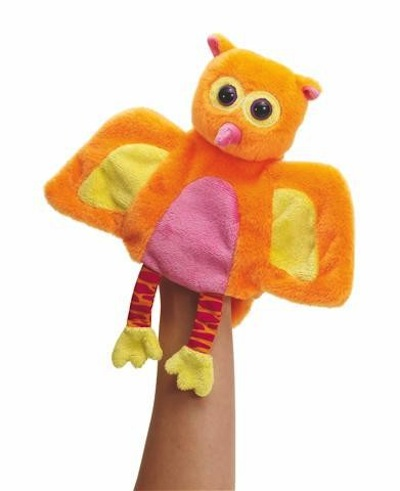 The Duskaroos Owl is the perfect addition to any puppet show. Collect all three Duskaroos hand puppets including the Flying Squirrel and Bat.